Our Parenting World team with Claude Zukowski, Senior Manager, P&G Children’s Safe Drinking Water Program (Middle). In celebration of World Water Day on 22 March, Procter & Gamble (P&G) released a documentary titled ‘The Power of Clean Water’. This documentary highlights the crisis facing 844 million people worldwide on a daily basis with the lack of access to clean drinking water. The captivating film developed and produced in partnership with National Geographic details the unique perspectives of three women from around the world, they are Veronica, an 18-year-old student in Indonesia, Antonia, a small business owner and mother of two in Oaxaca, Mexico, and Mary, a young mother and health worker in rural Kenya. Viewers will follow their journeys on how they struggle to get access to water, how they cope with the severe realities of daily life in remote communities, to having gain the benefits of having clean drinking water being brought to them through P&G’s Children’s Safe Drinking Water (CSDW) Program and able to realise their dreams and hope for the future. They can now enjoy clean water after being introduced to P&G Purifier of Water packets. You will be able to see the impact on how having access to clean water will create significant education and economic opportunities in their stories. They in turn teach their community about the importance of using clean water. About P&G’s Children’s Safe Drinking Water, it is one way the Company demonstrates that it is committed to impacting communities around the world. Through the help of more than 150 partners around the world, P&G has provided more than 13 billion litres of clean water since the program began in 2004. The P&G Purifier of Water Plant based in Singapore played a critical role in tackling the immense problem of water scarcity around the world, contributing over 10 billion litres of clean water. Using P&G’s expertise in cleaning innovation and consumer research, P&G scientists packed the power of a water treatment plant into a simple four gram packet. The technology is easy to use; with only a bucket, a spoon, a cloth and a small P&G packet, families can purify 10 litres of potentially deadly water in only 30 minutes. This is enough drinking water for a family of five for one day. 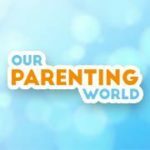 Our Parenting World (OPW) team had a quick chat with Claude Zukowski, (CZ) at the event to find out more. We are certainly excited to catch the documentary, ‘The Power of Clean Water’ and also know that Singapore has played a significant role in P&G Purifier of Water product that produced the water product to be distributed to communities throughout the world. 1) Please share with us more about your role as Senior Manager, P&G Children’s Safe Drinking Water Program? CZ: In my role, I help to deliver our mission which is to reach as many children and families as possible with clean drinking water. I have worked with partnerships to develop new programs in different countries where there is a need, where technology is the best fit for the community. 2) Which countries have you reached out to and which country impacted you the most? CZ: In this region, I have been to Indonesia, Thailand, Vietnam and I am fortunate to be able to travel quite a bit in this area of the world. It is hard to say which country has impacted me the most, I am very touched anytime when I go and visit one of our programs in the field to see the people that can benefit from the technology. 3) We are very impressed with the P&G Purifier Water packets, each packet contains powder that comes in small affordable, easy-to-use packets to produce clean drinking water. How does it work? CZ: The powder is developed by P&G’s scientists, they essentially reverse engineer the water treatment plant process. It is a little packet with the power that treats like the power of the water treatment plant. It contains coagulants which pulls out all the dirt, debris, chemicals and heavy metals. Once it removes all those type of ingredients, it disinfects and kills bacteria and virus anything that is remaining in the water. 4) Can you share what’s the global water crisis that we are facing right now? What can we do about it? There is a huge number of people, according to WHO, 844 million people still don’t have access to clean water so it continues even though we made a lot of progress over the years, it continues to still be a problem for lots of people in developing countries. In fact over a thousands of children a day die from illness relating to drinking contaminated water. That number is more than people with HIV, Aids and Malaria combined. The important thing is we try to shed a lot of awareness of the issue and all the people that are involved in it. For our program itself, it is a not-for-profit initiative, people can go to our website and they can donate if they wish to. We would like to encourage people to learn more about it and to help in whatever way they can. 5) Please share with us more about P&G Children’s Safe Drinking Water Program? CZ: Sure, this program started in 2004, it is a not-for-profit initiative and we worked with 150 partners, both public, private, NGO partnerships to help us to distribute and reach out to communities and all over the world. We focus primarily on Africa, Latin America and South-East Asia and so far, we have worked with 90 countries and we have delivered 15 billion litres of water. 6) Lastly, do you have anything else you would like to share with our readers? CZ: Having access to clean water, transforms lives and education and even empowerment for women and families. P&G has partnered with a lot of NGOs, if you would like to contribute and find out more, you can visit our website at www.csdw.org. The ‘The Power of Clean Water’ documentary will be shown on National Geographic. * Dear readers, you can now watched this captivating ‘The Power of Clean Water’ documentary produced by National Geographic and in partnership with P&G at our website, the link as above. It is really touching to know how lives have been transformed with clean water and using P&G Purifier of Water packets. Thank you Claude Zukowski for taking our interview! In addition, to find out more about how clean water saves lives, please visit the P&G CSDW Program website www.csdw.org. There is absolutely nothing far more attractive than an individual who goes out of their route toward create lifetime desirable for many others.